The Laguiole Evolution kitchen scissors by TB Group reunite all of the key manufacturing features that this high-end cutler has to offer. 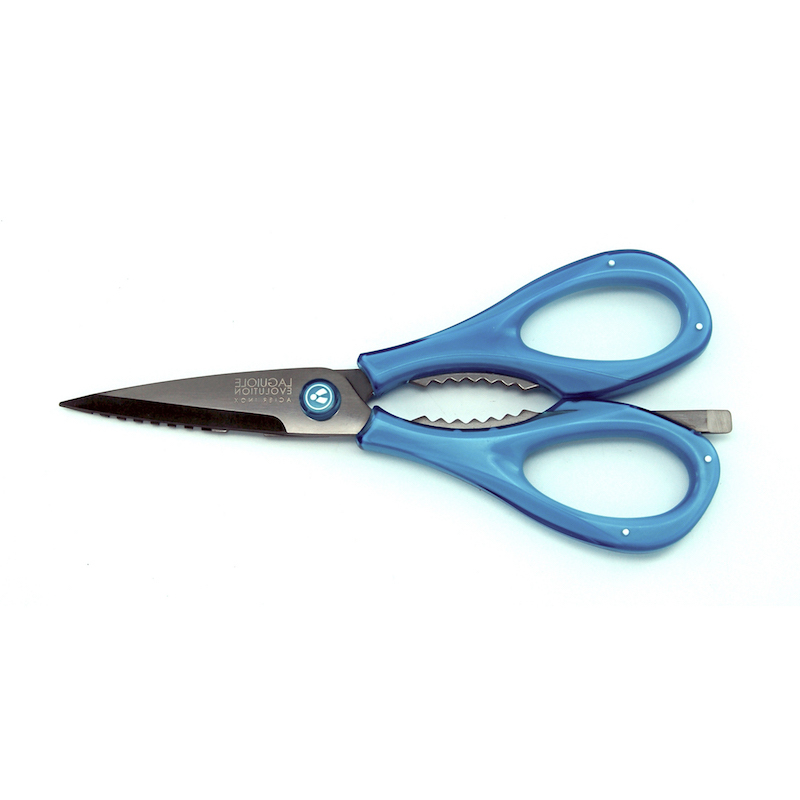 Featuring an exceptional cutting-edge, their razor-sharp blades can easily cut a wide variety of foods (pizza, tart, poultry, etc.) and help you complete countless other kitchen tasks, including descaling fish, chopping fresh herbs, opening pop-top cans and much more. Their blades are made of chromium-rich stainless steel, which gives them excellent resistance to all forms of corrosion. 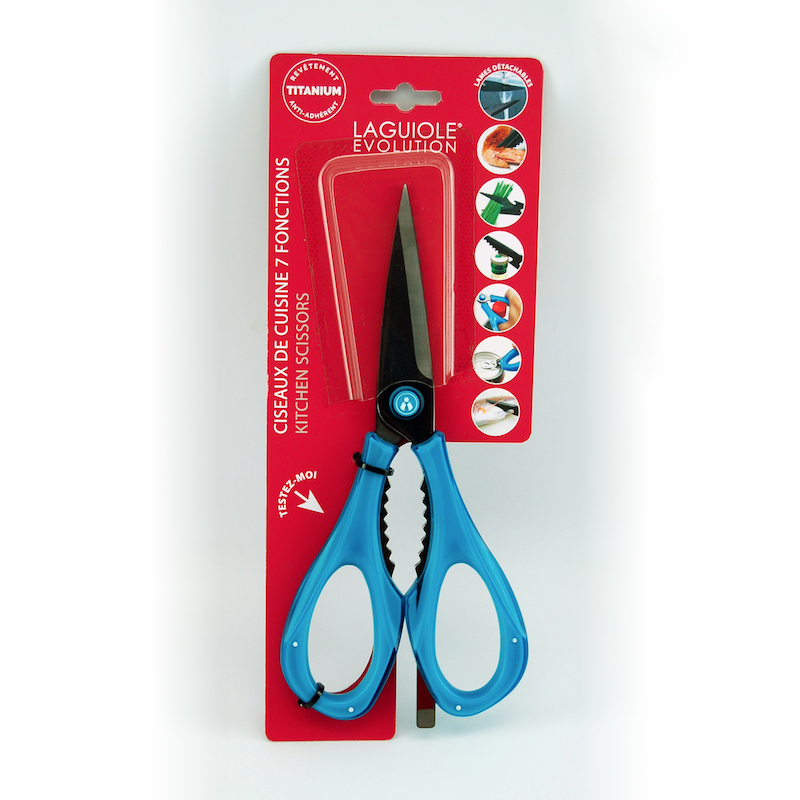 The Laguiole Evolution kitchen scissors have ergonomic handles made of ABS, which allow for easy handling no matter which culinary activity you are performing. ABS is a lightweight, highly durable polymer that increases this kitchen utensil’s longevity. The handles are dyed in the mass so they will never to lose their original, bright color. 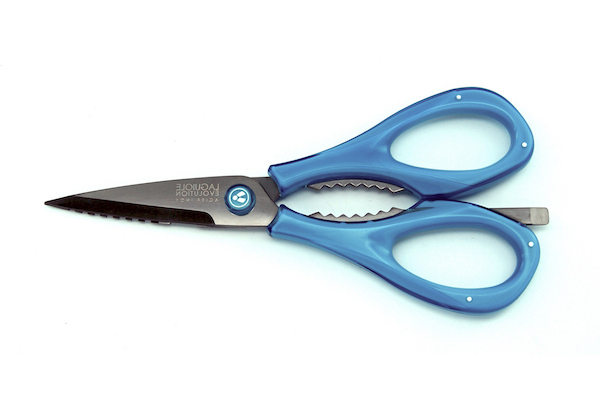 Even with repeated use and washing, the Laguiole Evolution kitchen scissors will not tarnish.